Katie decided to follow her dreams and launch her own counselling practice! I took her through the whole process, from strategically developing the business name, "For Freedom Counselling", to designing the logo and website! The aim was to design a website that evoked a sense of peace and freedom. 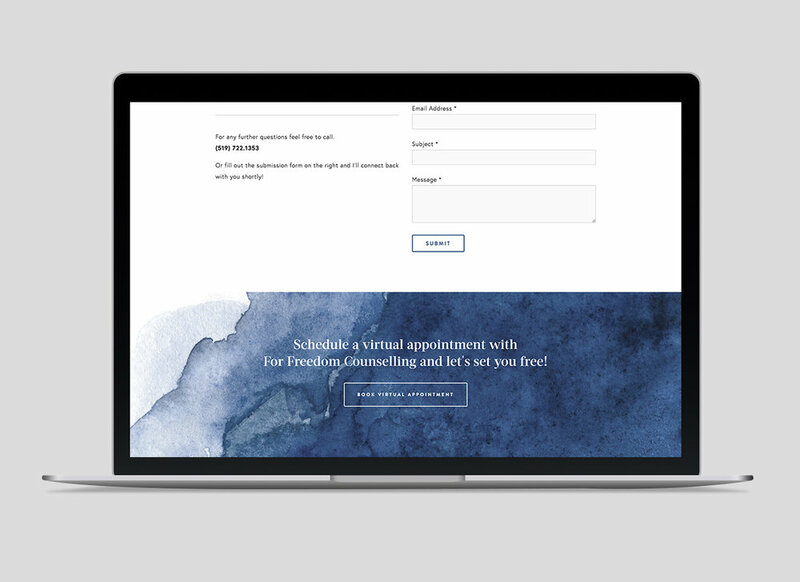 The blue watercolour texture and script logo are design elements that enhanced the calming online experience.